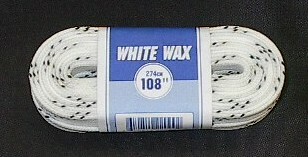 These unique wax laces are immersed in liquid paraffin, and then heated to remove the excess wax. 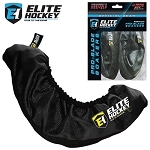 The resulting grittier lace holds the boot together and tips don't slide off. Sold as white lace w/ black stripes.